"I had always been impressed by systems of order. I always felt that instead [of] reducing a subject they lent to it an air of mystery." A prolific sculptor and painter, Tony Smith contributed much to the birth of Minimalism in the 1960s. Yet he was an anomalous figure, always occupying a slightly peripheral position in relation to the movements with which he was associated, and only exhibiting as an artist from his fifties onwards. Friendly with the Abstract Expressionists in 1940s-50s New York, his work bears no traces of the febrile spontaneity of Jackson Pollock's, for example. Indeed, at that time, Smith was primarily an architect, in the modernist tradition of Mies van der Rohe and Frank Lloyd Wright, while his painting had more in common with the measured, systematic compositions of European Concrete Art. When he turned to monolithic, system-based sculpture in the early 1960s, he took up a slightly awkward position within the burgeoning Minimalist collective. Older than its leading figures, Smith worked to some extent by intuition, without the earnest philosophical scruples associated with that scene. Underlying all his work, nonetheless, is an interest in the forms of repetition and multiplication of the visual and physical world. At its best, his paintings and constructions embody a mesmeric, cosmic process of growth. Trained at the New Bauhaus in Chicago in the 1930s, Tony Smith's work fused the traditions of European modernism with developments in post-Second World War North-American art. Significantly, it was during a stay in Germany in the early 1950s that he created his first important painted works, using a system of visual repetition akin to the principles of Concrete Art, yet based on an intuitive creative process reflecting his Abstract Expressionist connections. These influences combined in his sculptural works of the 1960s onwards, important precursors to the Minimalist movement of the following decade. Like the creative pioneers of the Bauhaus, Smith was not constrained by medium-boundaries. However, he moved in the opposite direction to many of the luminaries associated with that school, turning from architecture to art rather than vice versa to realize his creative principles. The fullest expression of his aesthetic is arguably his sculptures: which he called his "presences", monumental constructions which combined the sheer physical presence of architecture with the conceptual resonance of abstract painting. From the time of his earliest architectural constructions onwards, Smith was enthused by the processes of repetition and multiplication that underpinned the construction of natural and man-made forms. 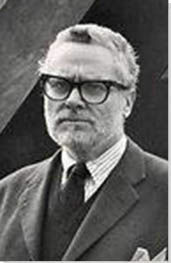 An afficianado of the Scottish biologist D'Arcy Thompson, many of Smith's striking biomorphic works are homages to the processes of tessellation, repetition, and fractalization that Thompson had defined in his seminal text On Growth and Form (1917): principles which, for Smith, applied equally to the natural and human universes. Born in 1912 and raised in South Orange, New Jersey, Anthony Peter Smith used to say that his initials stood for "architect, painter, sculptor". The second of seven children, his father was a mechanical engineer for the family waterworks factory, his mother a homemaker. In 1915, the family visited the Panama-Pacific International Exposition in San Francisco. Smith later recalled his interest in the neo-classical Palace of Fine Arts, built by the Arts and Crafts-era architect Bernard Maybeck to house the Exposition's artworks, as well as a visit to the ruined dwellings of the ancient Puebloan civilization in New Mexico on the way home. Influenced by the modernist architecture of Mies van der Rohe and Frank Lloyd Wright, the underlying structure of Tony Smith's Stamos House comprises a rectangle on stilts, though the pitched roof and angled trusses provide a hexagonal facade. This striking geometrical shape is emphasized by lifting the main body of the building off the ground, as if it were floating: an idea Smith would return to in later sculptural works. Unlike Smith's other projects of the 1950s-60s, such as his unrealized church and the so-called Bennington Structure, Stamos House does not follow a repeated cell structure - involving reiterated, correlating three-dimensional forms - but instead resembles instead a single, hexagonal module. The house was built for the Abstract Expressionist artist Theodoras Stamos, a friend of Smith's, who granted him control over both the design and construction of the work. As such, the materials, construct techniques, and visual design were all devised in harmony, thereby avoiding the friction with constructors that Smith experienced on some of his architectural projects. The art historian Robert Storr notes that prior to working on the Stamos House, Smith had studied Alexander Bell's experiments with Chinese kites (1901), and Buckminster Fuller's Dymaxion House (1944-46), which was also designed to be raised off the ground. Taking inspiration from these projects, Smith developed an interest in prefabrication and modular assembly which was also in line with contemporaneous developments in architectural theory. He likened the Stamos House to a 'tetrahedral kite' - a phrase Bell used to describe the flying machines he constructed during the 1900s - which could be built from standard materials specified by a designer, assembled like a kit of parts. This construction technique was similar to that of Dymaxion House. Raised off the ground, Stamos House has been likened to a spaceship. In spite of its modest size, the appearance of the building is monumental, and the innovation of its design can be seen as a significant contribution to the second wave of modernist architecture following the Second World War. Emphasizing Smith's reticence about describing his work as either art or architecture, critic Robert Storr has described Stamos House as a "presence", a term the artist used to describe his sculptures. The Louisenberg series (1953-55) is a suite of twenty-five colorful, geometric paintings, bound together by an underlying compositional ideal. Each painting is made up of variously colored, identically sized circles, some of which combine into composite 'peanut' or 'amoeba' shapes. These shapes are arranged in a grid system, with a circle taking up one space, a peanut two, and a larger, amoeba-like shape four. The critic Yves-Alain Bois notes that most of the Louisenberg paintings comprise small sections of the fourth and largest work in the series, Louisenberg #4: as if the painting had been split into pieces to make the others. The work above, by contrast, is a reproduction of Louisenberg #4 with a loosely inverted color-scheme. This method of working, producing variations on a single design, gives an indication of how Smith's practice as an architect and artist was developing at this time. In 1968, a mural version of the largest Louisenberg painting was created, measuring around 8 by 12 feet; the creative format thus served as a creative impetus over the next 15 years. The Louisenberg series was created during Smith's sojourn in Germany - named after a geological site near Bayreuth containing distinctive, peanut-shaped rocks - and it is difficult not to spot an affinity with contemporaneous Northern-European Concrete Art in the execution of the series. Following a compositional formula which is exhaustively and methodically expressed by an evolving series of works is a creative approach favored by Josef Albers, for example, in his monumental Homage to the Square (1950-76). But Smith's inspiration for this serial work and others like it was somewhat esoteric and intuitive, perhaps reflecting his primary connection to the North-American Abstract Expressionist circle. Driving through the darkened landscape of the unfinished New Jersey Turnpike in 1951, the artist was struck by what he later defined as an underlying geometrical structure to the visual and physical world. In 1953 he wrote: "[t]he grid, the module, is the basis of architectural order and freedom [as it] unifies what is similar and emphasizes what is dissimilar." The Louisenberg series thus represents a fascinating synthesis of Smith's North-American and Northern-European artistic affinities and influences. At the same time, the use of repeated elements (or modules) in the paintings serves as a two-dimensional expression of his interest in modular architecture, and thus as heralding his shift into sculpture by the 1960s, when he would employ similar techniques. Sharing affinities with both architecture and sculpture, the Bennington Structure was a temporary abstract installation built on the grounds of Bennington College in Vermont. The Tony Smith Estate classifies it as sculpture, whilst the Museum of Modern Art in New York prefers the term "semi-architectural work". The piece was constructed from a set of interlocking, 14-sided, three-dimensional shapes - called "tetrakaidekahedrons" - fabricated from metal and plaster. It was built on a human scale, with openings akin to windows appearing at various points. However, covering 40 feet of ground, the finished work gave the suggestion that the repetition of elements might continue indefinitely, a process of unlimited biomorphic growth. Though its design seems more spontaneous, the form is somewhat similar to that of Smith's hexagonal model for his unbuilt church (1951). The inspiration for the Bennington Structure derived loosely from the games which Smith played as child quarantined with tuberculosis, using small medicine cartons to build up elaborate cardboard models. The medicine carton-shape has been replaced by a new module, however, inspired by a project Smith undertook whilst teaching painting and architectural design at Bennington in the early 1960s. Smith became interested in geometry in nature, and particularly in the Scottish biologist D'Arcy Thompson's analysis of the structure and "close packing" of cells in his famous 1917 book On Growth and Form. Bennington Structure can even be seen as a built expression of Thompson's theories, its form emulating a soap-bubble molecule, while also drawing on the properties of the hexagon as an inherently flexible unit of design, which Frank Lloyd Wright called a "'universal modular". Smith described his exploration of shape and correlation in the Bennington Structure as a "speculation in pure form". The work marks a turning point in his career, away from what he saw as the constraints of the architectural profession - the "business of architecture", as he put it - towards functionless three-dimensional works such as Smoke (1967) and Bat Cave (1969). It thus stands as a monument to his exploration of the thresholds between two media, like his modernist predecessors in the Bauhaus and European Constructivist movement. The inspiration for Black Box came from a filing cabinet which caught Smith's attention during a meeting with department chairman at Hunter College in New York. He recalls: "I was sitting in a very low chair [...] and every time I looked up, I would see this 3x5 filing cabinet. And for some odd reason [...] some maniac had painted this black. I went home, thinking to go to sleep; but instead of that, all night all I could think of was that black box." The next morning, he asked a welding company to make him a black box out of steel. Though the welders were bemused by the request, they delivered the project to a high standard, and Smith was delighted with the result, which was five times larger than the original cabinet. As he looked at the filing cabinet over the course of minutes and hours, Smith later recalled, "things [...]disappeared": "the line of the opening, the dovetailing of the joints, the hinges"; "[it] simply became a black prism. It became a geometric object; it was no longer a filing cabinet." The work's ambiguous title arose from this air of mystery which the cabinet acquired when its characteristics as a functional object were stripped away; though Smith's assistant James Sheppard has also suggested that the name was a reference to the corrupt administration of New York mayor Jimmy Walker. Powerful and enigmatic, Black Box casts a shadow over the whole subsequent development of Minimalist sculpture. Receding from representation or even complex abstract figuration, it stands instead as a monument to the basic conditions and parameters of creative expression: an object set in space. At the same time, the work may have a subtle biographical significance. Likened to a gravestone, Black Box was placed on the site of the building in which Smith had been quarantined as a child, as if it were a monument to his youthful loneliness. Until it was mounted on a plywood base, his daughters would ask "[w]ho was buried there?" Their suspicion of the object was shared by other children in the neighborhood, who, unnerved and bewildered, would throw rocks at it. Standing at 24 by 47 by 33 feet, Smoke is the largest sculpture that Smith ever realized in full scale. Conceived as a work in metal - though wood versions were also made - it takes the form of an open latticework, recalling various natural and architectural structures, from trees to scaffolding. The art critic John Chandler describes the piece's visual appearance: "[e]ach of the eight floor columns [...] stands at alternate angles of close-packed hexagons. At the top of each column there is a tetrahedral capital [...] to which additional modules are attached [...] Each triad of columns supports a hexagonal ring of the same". In short, the lattice structure is composed from six-sided figures rising out of three-sided ones. This is a formula for multiplication - a kind of fractal expansion - that could continue ad infinitum but for the enclosures of the gallery space, reflecting Smith's interest in repetition and tessellation in natural and man-made forms. As Robert Storr notes, the formal language of Smoke is different to that of traditional Western architecture and sculpture: there are no curves, no arches, and no elements perfectly perpendicular to the ground. Smith took pleasure in distorting familiar shapes beyond recognition: the floor columns, for example, are distended octahedra. The sheer size of the work is also noteworthy: Patricia Johanson, one of Smith's students, describes viewing Smoke at the Corcoran Gallery of Art in Washington: "[t]he fact that it expanded beyond the walls, it filled the entire atrium, it surrounded you, it encompassed you, it was there - it was overwhelming." But whereas Smith's early-1960s, proto-Minimalist works are striking for their monolithic quality, Smoke's monumentality belies the complexity of its form: its capacity to keep the viewer guessing at the underlying design principles. As such, Smith felt the title Smoke was appropriate, since the logic of the composition, clear enough from plans and formulas, dissipates like a gas in the viewer's mind when they are confronted with the visual expression of it. Michael Govan, director of the Los Angeles County Museum of Art, has called this sculpture "jaw-droppingly beautiful"; the interior space of the Ahmanson Building was redesigned specifically to accommodate it for an exhibition in 2008. It is undeniably one of the grandest realizations of the principles that animated Smith's whole practice from the early 1950s onwards: the repetition of shapes across space, and over a range of scales, in ways which paid homage to the formal patterning of the man-made and the natural worlds. Indeed, the troubling of that conceptual and aesthetic boundary - like that between art and architecture - is one of the unique distinctions of Smith's art. The 20-foot sculpture Light Up was commissioned as a public artwork for downtown Pittsburgh. It was intended to be set between two modern office buildings, and was constructed on site using a crane. Combining a tetrahedron and an octahedron, the work appears to reconfigure itself visually as the viewer walks around and through it, much like Smoke. Smith described it as a "continuous space grid", which "may be seen as interruptions in an otherwise unbroken flow of space." His inspiration for a burst of color in the urban landscape came from observing a yellow newspaper truck driving around Pittsburgh. Clad in bright yellow, Light Up energizes its surroundings, in the artist's words, "like a jolt of electricity", and represents a departure from Smith's previously predominantly black color scheme. In the late 1960s, Smith became interested in designing for specific sites, especially in installing works amongst buildings and trees, to frame existing architectural recesses and natural spaces. 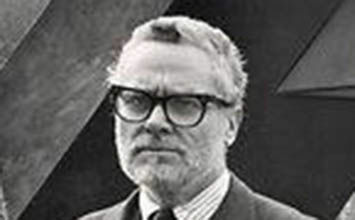 Just as he had operated at the peripheries of the Abstract Expressionist movement in the 1940s and 1950s, drawing creative stimulus from the scene without being creatively engulfed by it, so Light Up gives some sense of the way Smith had moved by the 1970s away from the monochrome, Minimalist formal language that he helped to define during the early 1960s. At the same time, the evident interest in modular construction and in tessellation and repetition which the piece expresses can be traced all the way back to the Loiusenberg paintings of the early 1950s. Since its original dedication in 1974, Light Up has been re-sited several times; it is currently located at the University of Pittsburgh. During the retrospective of Smith's work held at the Museum of Modern Art, New York in 1998, it was temporarily placed next to Mies van der Rohe's Seagram skyscraper, leading one critic to call it "a jazzy counterpoint to [the skyscraper's] staid geometry." Aesthetically thrilling, the sculpture has been pithily described by art historian Harriet Senie as meeting the requirements of both public art and art. It stands as a monument to Smith's daring and inventive adaptation of the principles modernist art, architecture and sculpture throughout his career.